Arghhh, Oprah, I’m starting to think you live in a bleak world of unhappiness which is why you recommend so many books filled with despair. You poor thing. I’m sorry to say, I think you and I are officially kaput. I just can’t read one more book filled with angst without purpose. I read “Vinegar Hill”. I would like to tell you the point in this review, but I haven’t yet figured out why the author wrote this one. It is chapter after chapter of ughhh. As one Supreme Court justice once said, “I shall not attempt to define ughhh, but I know it when I see it.” In this case, read it. The book is set in the 60’s and 70’s. An unhappy married couple (starting to think this may be why Oprah never married; her books seldom feature happily married people), unemployment, depression, an angry God, living with in-laws filled with hatred. Argh. And the “journey” of the wife (who cares about the character’s name?) to find her own destiny away from husband and house of hate. Yada Yada Yada. 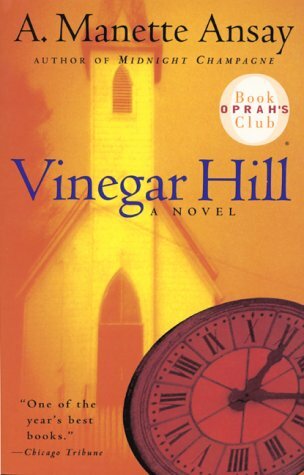 On another note, I’m selling my copy of “Vinegar Hill”. Cheap. It was an Oprah Book Club Selection!!! Hurry!!! This deal won’t last long. I finished this book only because I started it and forced myself to keep reading. I kept hoping there was something in the material that would be worth my time, a payoff in the end. Nope. Nada. Was just so glad to turn to the last page and realize it was over. The story had potential – testing the endurance of friendship and forgiveness, living with the consequences of an inconsequential moment in time which results in tragedy, the strength of a marriage. Blah blah blah. I just didn’t like the characters. It is hard to be concerned about the plot of a book when you could care less if bad things happen to the main characters. In this case, Alice is the wife/mom/friend who in a moment of carelessness causes a death. Too quickly she is granted forgiveness by her friend who suffered the loss, yet she can’t forgive herself. Fast forward to the town finding a way to persecute her for completely unrelated circumstances, time spent in jail, her relationship with those around her, the trial, etc. I assume as a reader I was supposed to care what happened to Alice, but I disliked her so much I could have been one of the inmates who beats her. I found myself hoping she would be found guilty just to protect her poor family from her personality. That is probably not the author’s intent. Anyway, it counts as one of my 52 books this year whether or not I like it. When starting a book, I normally do not read about the author until finished, and typically the author info is at the end of the book. I don’t want a picture in my head of the writer, his Vermont farm and two fluffy dogs running free while he works. I just want the guts of the story. 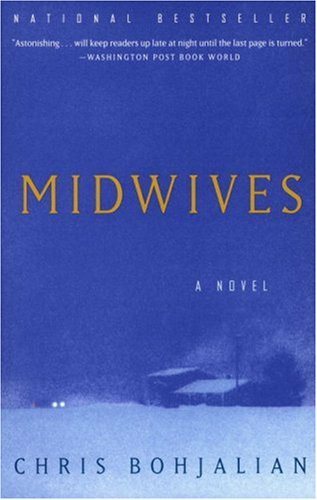 This book, “Midwives” began with the author’s page, his picture and bio. What I mostly learned early on in the reading is that I am a sexist. HIS picture. The name, Chris, could go either way, but he is clearly a he. This was the first time I have begun a book and kept shaking my head thinking, “a man wrote this??? ?” It just felt odd. The story is told from the viewpoints of a very young teen girl and her Mom, a midwife. A man wrote this???? As I struggled to get past my personal bias against male authors telling girl stories (who knew? ), I also struggled in the beginning just getting into the book. Rather than getting into the heart of the novel, HE started with more on the life of the teenager and her angst of trying to be noticed by her current crush. There is a horse, and lots of standard girl wants you to notice me on a horse stuff. Booooring. I am glad I stuck with it, however, because once the lovestruck nonsense was put aside for the telling of the tale of a midwife and a birth gone wrong, it got interesting. This is a culture to which I cannot relate, and keep in mind that I homeschooled which is a culture to which a lot of people cannot relate. I even have a homeschool friend who delivered all three children at home, and seemed very pleased with her choice. So in addition to my bias against male authors speaking as teen girls, I also identified early that I have a bias against home births. I was going to say non-traditional births, but ironically, wasn’t much of our ancestry born at home, so wouldn’t that be considered the tradition??? Knowing that I had a natural inclination to agree with the side of the prosecutor (something bad happened during a delivery; you can guess), it is amazing to me that Bohjalian presented material on both sides which made sense. I would have been a juror who honestly had no idea how to vote once in the jury room. That is a good book. 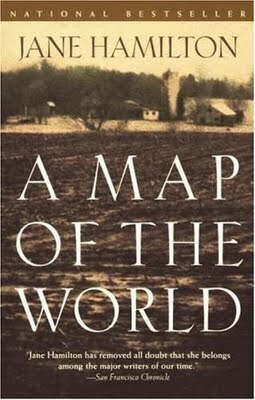 Characters were believable and interesting, and I especially enjoyed the fact that I did not know how it would end. Another keeper for the bookshelf. Ah, another Oprah recommendation that I loved. Does this mean I am becoming an Oprah fan, or she just has a staff competent at choosing good books? Hoping it’s the latter. 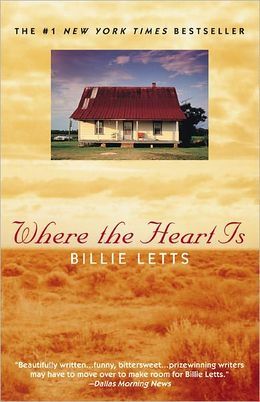 Billie Letts has written a book which reads quickly, and with depth. This is the story of a pregnant 17-year old Novalee Nation, dumped by her boyfriend in a Walmart parking lot, and the life she creates thanks to the kindness of strangers. What could be a sad story about poverty, desperation and the futility of life instead becomes a story about how family is not necessarily blood. Novalee had no one, but her heart was big and her spirit resilient. She crosses paths with people who change her world and become her foundation. Are they angels? Mentors? Just good hearted people? In fact, they are like Novalee; seeking the best of people and the world. Reaching out to touch others and complete their own lives through meaningful relationships. We watch this 17 year old grow into a competent mother, and her future breaks a cycle. She loves completely, takes measured steps to ensure a better future, and allows herself to feel love and loved. Perhaps this book might seem sappy to some; I certainly could not imagine the typical male reading this one. For me, a child from a past with a similar sense of loneliness and lack of family, “Where the Heart is” struck a familiar chord. I realized the reason I could relate so closely with Novalee was that I also had been touched by meaningful people who influenced my present. I remember fondly my 9th grade English teacher, Mrs. Rechten. She saw in me a student who came from a dysfunctional home with a mom who was uninvolved. I was the student Mrs. Rechten took book shopping, invited into her home for paid babysitting jobs, kept in contact with me when I left that school. She encouraged me to pursue college despite the fact both parents thought college unnecessary for a girl – remember, this was early 1980s, not 1880s. College not necessary because I was a girl??? As an adult I learned from my beloved Uncle and Aunt in Rhode Island that one of the reasons I was welcomed in their home for a month in the summer was they knew what my mom was like, and wanted to give me more. I had no idea as a child that their love served a purpose. I had time to see what a real family was like, and that people cared. My best childhood memories came from their family. Hearing them speak about my childhood when I was in my 40s made me both sad and happy. It is hard to realize you were “that” kid, the one from a screwed up home. It was wonderful to know the depth of their love. I feel I have broken the circle. My mom was married and divorced three times, and chose husbands over children. By her death she had no relationship with her three surviving kids. It took a long time for me to get over my anger at her. Hopefully, my marriage of 23+ years, my dedication to my family and my unconditional love of my children show a broken pattern. Wow – book review much??? I think this one hit home and I really enjoyed my time in Novalee’s world. I know we are not supposed to judge a book by its cover, but I almost judged this book by its “recommender”. This sounded intriguing but then I noticed it was one of Oprah’s book club choices. Ughhh. I admit publicly that I am that one person in America who is not an Oprah fan. The fact she told the world to read this book was almost the death knell on me reading it. But, since this is my year to be opposite Sue and do new things, I resisted my normal urge and started to read. And I read, and read. I hate to admit it, but Oprah was right about this one. Ruth is in many ways me. She came from a difficult childhood; trapped in a world where the likelihood of escaping and finding normalcy and happiness was very small. Her loving father abandoned the family leaving Ruth and brother Matt in the hands of an incapable, failing mom. She was probably normal in intelligence, but compared to her genius brother who could do no wrong, and without benefit of a good parent or mentor, she is seen as below average. Coming from a small town, dysfunctional family and in need of being loved, she fell into a marriage with the wrong man, Ruby. Despite his obvious inadequacies, Ruth manages to find her first taste of love and completeness. Poverty, however, requires that she and her new husband must live with her tragically domineering mother and this is the story of those three adults and how the world in which they live imprisons them. Jane Hamilton writes in prose which makes the reader pause to absorb. I kept finding myself marking passages which resonated within me and made me think of my own childhood. If Ruth is considered of normal ability, Ruby definitely had severe mental challenges. Concentrating, problem solving, motivation – all beyond his reach. Ruby, however, had a spirit of innocence where his world would have been filled with joy had mother in law not continually tried to emasculate him. Three people in a marriage is hard, but the addition of a fourth, a baby for Ruth and Ruby, brought this group together and with a purpose. Hamilton does an excellent job reminding readers who are parents of the magic of children. “With a baby you have to look at the world as if someone has just given you a pair of eyes for the first time.” The parts of the book which dealt with impending parenthood and those early months will fill your heart. I am glad I didn’t let Oprah’s name keep me from opening the cover of this book. 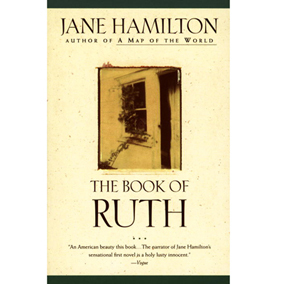 I not only recommend “The Book of Ruth” but have given it a place on the bookshelf for a future read-again.